Many of us are looking for new jackets with Spring around the corner, so I checked out the selection at Calvin Klein. 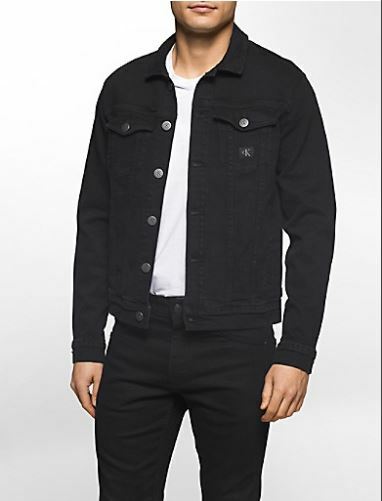 The jacket below is their Destructed Sky Trucker Jacket, which basically looks like a somewhat updated version of the jean jackets that were popular in the 80s. 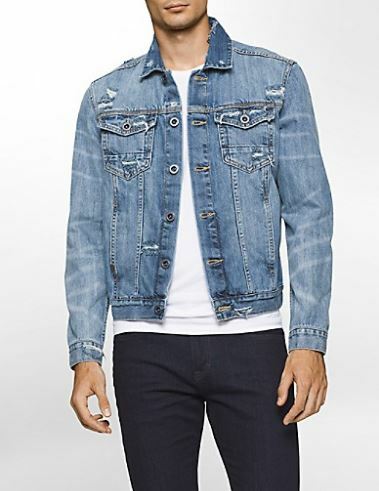 Younger guys might be able to pull this one off, but after a certain age you’ll look like you raided your old closet. It’s hard to recommend this one. The black version, on the other hand, looks much better . . .